Children’s animations are renowned as sources of moral wisdom and guidance. They are permeated with timeless moral themes of good triumphing over evil and the importance of relationships with friends and family. Yet, more often than not, there seems to be something a little more sinister lurking beneath the overt moral messages. Psychologists generally agree on the significant impact films and TV shows watched by children in their formative years have on their development. Sally Goddard Blythe, Director of the Institute for Neuro-Physiological Psychology in Chester, observes this as she notes that ‘when you don’t give children these stereotypes of good and bad, you don’t give them a moral code at which to start to develop their own lives.’ The importance of providing children with examples of admirable morality throughout animated content is evident. Of course, Disney, the great powerhouse of producing animation for children must be examined in relation to this question. Indeed, an entire book has been written on the subject: Mouse Morality: The Rhetoric of Disney Animated Films by Annalee R. Ward. In her book, Ward notes how Disney’s ‘media and entertainment holdings establish it as a central communicator in contemporary life.’ Children all over the world watch Disney films, often over and over again, at a time when the media they are consuming plays a vital role in shaping their perceptions of the world. So, what if these films that are moulding the minds of children aren’t actually as moral as they appear to be? As Ward notes, ‘Disney rewrites the original [fairy] tales for its particular version of American values’. Unfortunately, this isn’t always a good thing. The misogynistic messages that abound in Disney animated features are widely criticized. However, the films are also peppered with other questionable moral messages. 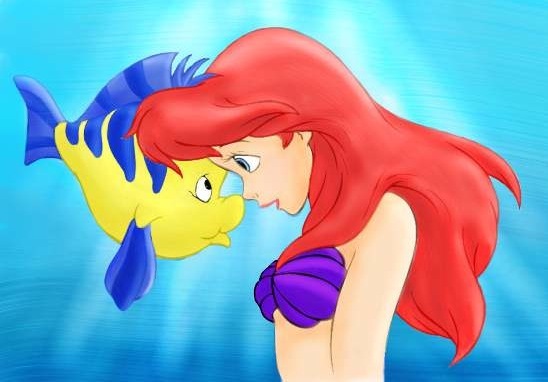 In The Little Mermaid, Ariel falls in love with Eric when she sees him out fishing. The problem with this is that he’s fishing for her friends. Although the crustaceans and other sea creatures of the film occupy a lower status than the Merpeople, they’re still friends. So it feels a little uncomfortable that Ariel doesn’t bat an eyelid at the murder of her friends. Does this suggest that it’s okay to stand back and watch someone you fancy eat all your friends? Maybe that is a little far-fetched… Ultimately, the film is saying that it’s okay to let someone hurt your friends and that definitely isn’t a particularly moral sentiment. She seems pretty keen on the fish here…. It’s not just children’s morals that animations have the power to influence but their political perceptions too. This is a slightly trickier topic area since as Mariana Keen remarks in her essay on this topic, ‘What one person considers offensive and inappropriate, another may deem entirely necessary in support of equality and teaching children important values.’ For instance, in Lady and The Tramp we see how when Lady is forced to flee from injustice (being muzzled) she is placed at the mercy of the ‘institution’, in this case the dog pound. This politically charged warning about the dangers of ‘institutions’ will inevitably filter into children’s consciousnesses, for better or for worse. One political message that recurs throughout Pixar films in particular, but also much of the animated content produced for children, is an environmentalist one. One example of this is Wall-E where we see a race of fat, lazy humans who have exhausted Earth’s resources. Wall-E also draws attention to this outcome as a consequence of Capitalist greed, a very left-wing sentiment. But it’s not just films causing issues. Remember the loveable Thomas and Friends series? There are some pretty questionable things happening there too. 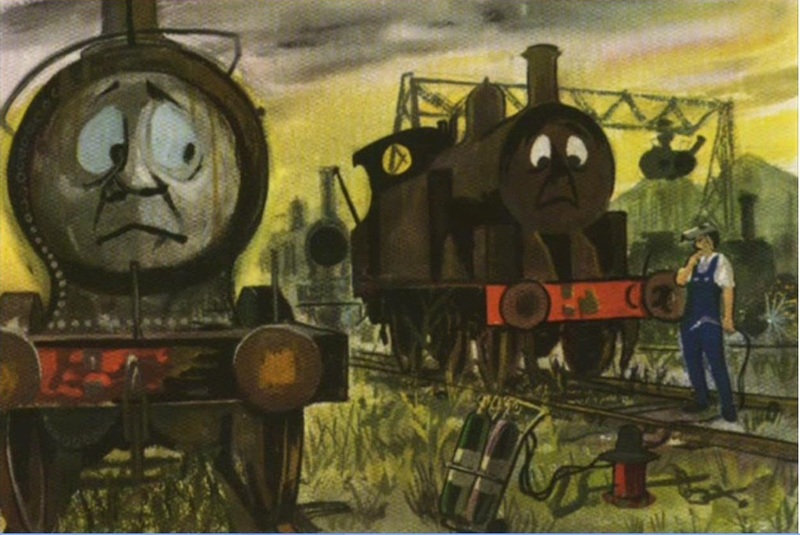 The series depicts a serious class divide between Thomas and the other hard working trains and the wealthy Fat Controller. Within this class system, we see insubordinance from the lower ranks being crushed. For example, when Thomas blows his whistle at a Police Officer he is then punished by being replaced by another engine. Whether the show can be read as a critique of the class system or as a warning tale about the importance of obedience, the harmful consequences either message may have for children are apparent. Another worrying message espoused by the Thomas and Friends series concerns ageing. When the trains are too old to be of use they aren’t dispatched to some sort of train retirement home. Rather, they are sent to the scrap yard and harvested for parts. This treatment of ageing trains doesn’t promote particularly positive attitudes towards older people at all…. In conclusion, despite its apparently moral values, children’s animated content is imbuing entire generations with somewhat dubious moral and political messages. That these messages are shaping the minds of children is inescapable. The bigger question is: what impact are they having?